Signature dice are a compilation of the best selling colors of new dicereleased in the past few years. It includes a wide variety of colors andmaterials, but each is a unique and interesting addition to any dicecollection. 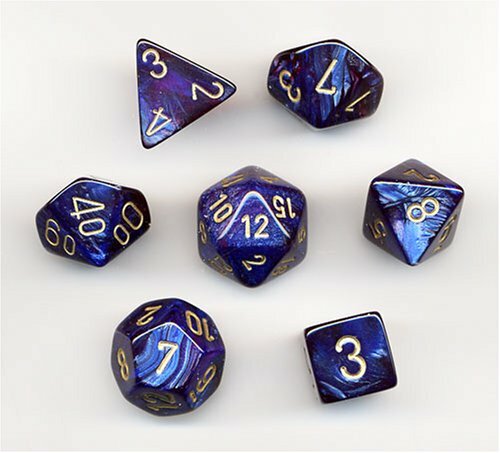 This set contains one d20, one d12, two d10 (00-90 and 0-9), oned8, one d6, and one d4.